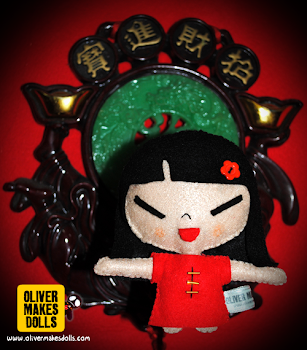 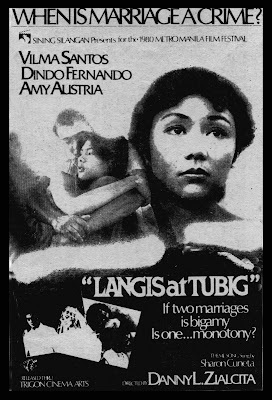 Best Production Design - ? 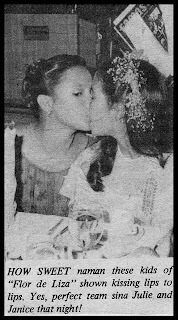 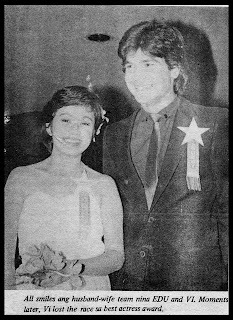 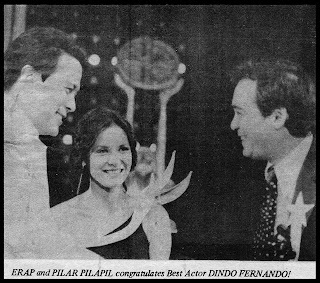 1980 FAMAS Best Actor and Best Actress Dindo Fernando and Amy Austria. 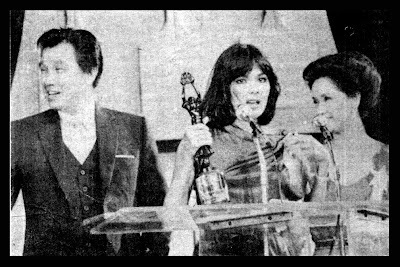 Amy Austria accepting her FAMAS Best Actress trophy. 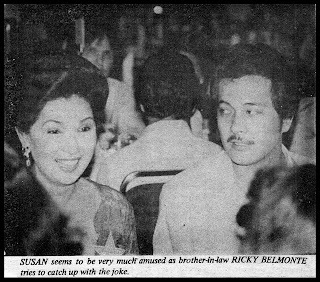 Ramon Revilla and movie queen Susan Roces at the background. 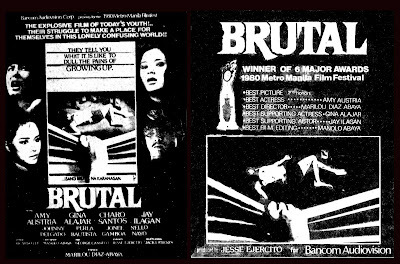 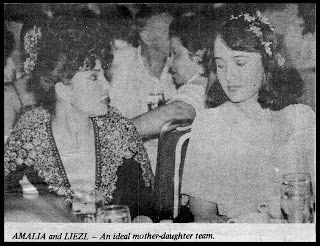 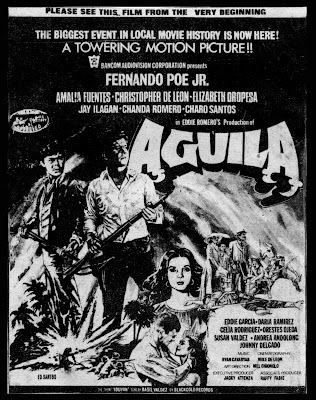 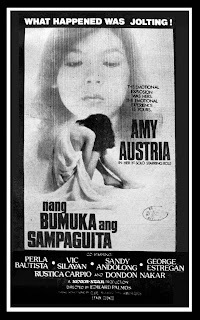 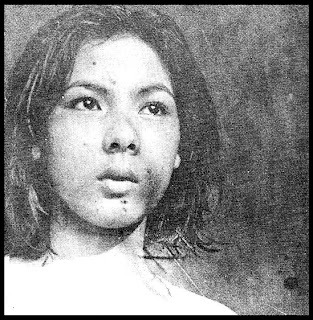 1980 FAMAS Best Actress Award to Amy Austria for "Brutal". 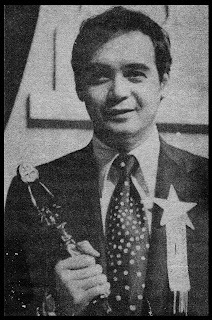 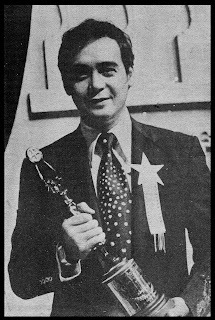 1980 FAMAS Best Actor Award to Dindo Fernando for "Langis At Tubig". 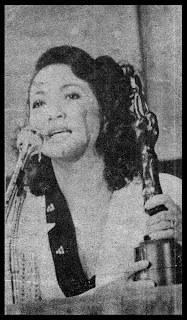 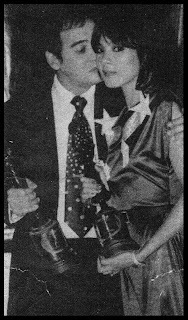 1980 FAMAS Best Supporting Actress Award to Perla Bautista for "Nang Bumuka Ang Sampaguita"
1980 FAMAS Best Supporting Actor Award to George Estregan for "Lumakad Kang Hubad Sa Mundong Ibabaw". 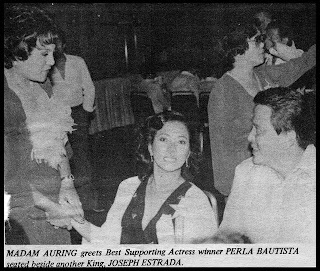 Ernie Garcia and Maricel Soriano at the background. 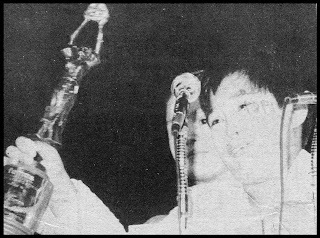 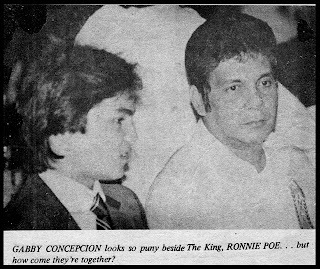 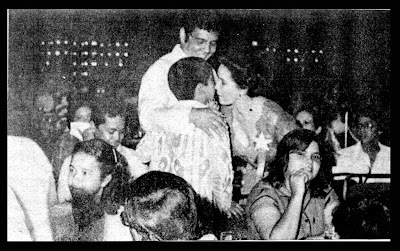 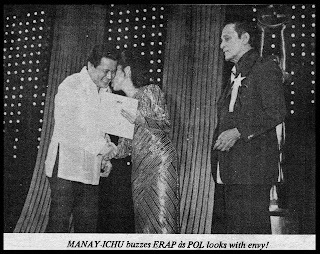 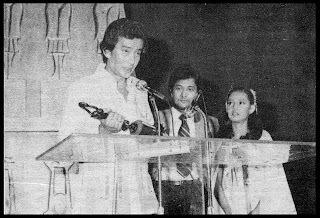 1980 FAMAS Best Child Actor Award to Bentot, Jr. for "Ang Panday"
Bentot, Jr., Best Child Actor receives a buzz from Susan Roces and Fernando Poe, Jr.